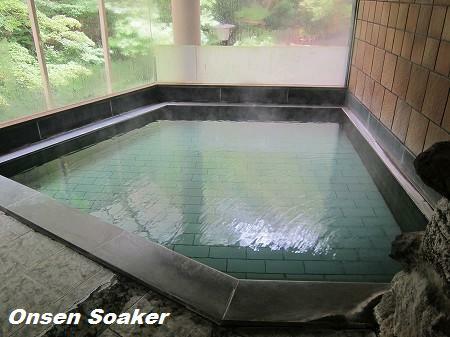 onsen soaker: Housenkaku, Fukiage Onsen @ Onikoube, Miyagi Pref. Housenkaku, Fukiage Onsen @ Onikoube, Miyagi Pref. Onikoube Onsen of Naruko Spa Area, Miyagi Pref. 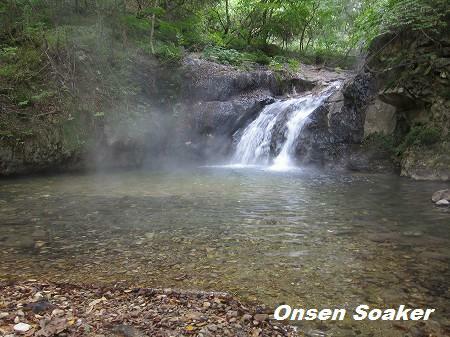 is known as a very active geothermal area, and Fukiage Onsen (吹上温泉) at Onikoube Onsen is famous for geysers and a hot spring waterfall. I made a day visit to a ryokan named Hounkaku (峯雲閣) to soak in the natural hot spring waterfall. It's usually soakable late May through October, too cold to soak during winter and in early spring and late fall. 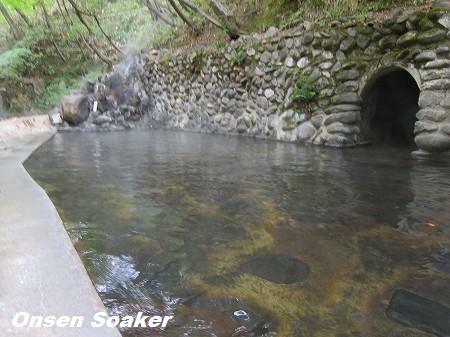 Hot spring waterfall was lukewarm in early Oct. There is another large mixed bath just outside of indoor baths. Another angle of the mixed bath same above. Indoor bath is gender separated. This is highly recommended for mixed bath beginners. Ladies are allowed to wrap their bodies with bath towels and usually you can meet other ladies and probably you don't feel being isolated. Swimsuit bathing is prohibited. 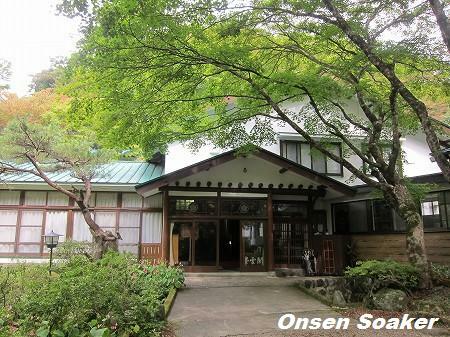 Address: 16 Fukiage, Onikoube, Naruko Onsen, Osaki City, Miyagi Pref. Access: Only a few bus services a day from the Naruko Onsen Railway Station, taking about 30 minutes. Get off at the "Kanketsusen mae（間欠泉前）" bus stop and walk about 5 minutes. that first picture of the waterfall looks amazing! I just stumbled upon your blog and thought you would be the right person to ask this: is there an onsen in the kansai region with private in room thermal water bath that you would kindly recommend please? 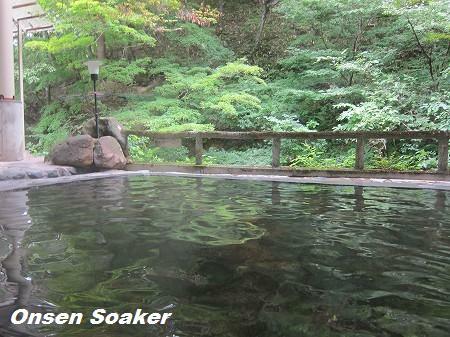 I don't recommend specific place in person, but you can search ryokans and hotels with private onsen bath on internet. See my post dated Sep 16 2010. They accept day visit soaking everyday EXCEPT MONDAY. Business hour is rather short, from 10:00AM to 1:00PM. Enjoy your Tohoku trip!